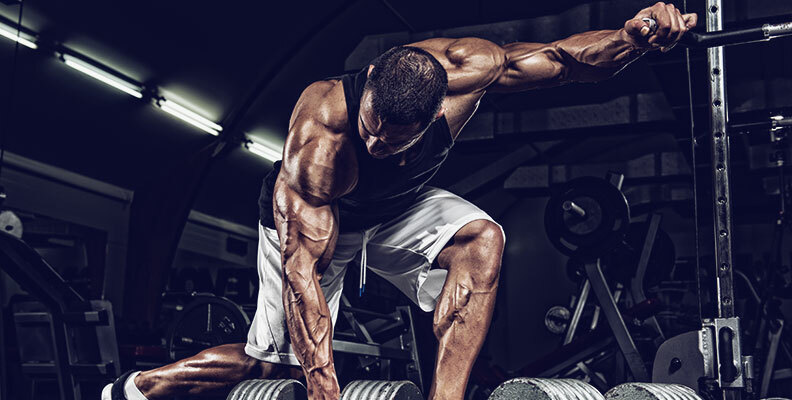 The beauty of bodybuilding is that for as many as there are competitors, coaches and trainers, there are just as many ways to achieve the goal, from different diet plans, to training styles, to posing techniques. I’ve had the privilege to train with a few that were mentored by some of godfathers of this industry, and to me, it’s so fascinating learning some of the “tricks” from before my time and establishing friendships with some successful competitors. As we reminisce about our times prepping and the journey to the stage, I find that we end up laughing about some of process. So here I will share a few of the good, the bad and the ugly of competing. If you’re looking at stepping on stage, regardless of the division, you must have either seen someone on social media all dolled up and looking like a modern day Wonder Woman, or maybe you know someone who has embarked on this journey. If it’s the latter, you have a bit of an advantage. You’ve seen some of the process to have an idea of what you’re getting into. But if you’re like me, and you don’t know anyone but you’ve decided to embark on this journey, you find yourself fumbling around in the darkness of the Internet stumbling your way through posing videos on Google and workouts from Bodyspace. My goal is to hopefully shed some light to that darkness. Let’s start by buttering you up about the pros of competing. Among countless positives, one of my favorites, and that of others that have stood in the glory light of the stage, is that the community is amazing. Establishing relationships with other people that have the same passion is priceless. The wealth of information that is wrapped up in each individual’s experience will trump any “Idiots Guide to Competing” you may find on the Internet. Finding relationships with like-minded people that are on the same journey of bettering themselves is worth its weight in gold. Especially if you are new to this sport, the things to be learned are endless. There is also something magical about setting a goal to take your body to a crazy conditioned state and actually achieving it. I remember standing at the mirror looking at my reflection before I went on stage, thinking “Wow, I got to play a role in sculpting this masterpiece.” It really is that. You’re going to sculpt your body rep by rep into a masterpiece. You’ll whittle away the “extra clay” minute by minute on cardio, and you’ll mold, shape and chisel meal by meal until that wonderful, nerve-racking, breathtaking day comes where you get to show off all your hard work. That’s something words can’t quite describe, but it’s addicting to say the least. I’ll finish the positives with this: you get to see what you’re made of. It’s going to take incredible amounts of discipline. Especially if you’re prepping during holidays or family events, it’s going to take superhero power to stay dedicated. There are going to be days where you are dead tired, physically exhausted with nothing left to give, but you get to prove yourself wrong. You get to learn the fundamental principle that your body will always fail before your mind does. You’ll learn that your mind and the end goal is what will peel you out of a warm bed at four in the morning to do cardio. It’ll be the satisfaction of standing on stage knowing you did your absolute best that allows you to choke down tilapia and asparagus for the millionth time. There is something so satisfying knowing that you brought your best to the stage, that you didn’t waste any second, any carb or sliver of protein – and seeing the faces of those that support you in the crowd cheering for you is what makes this all worthwhile. Let’s move on to some of the “bad” of competing. For starters, the process is ridiculously time-consuming. Between the hours spent meal prepping, hitting cardio, lifting and posing, it definitely can take away from time spent with friends and loved ones. You actually become more or less a brain-dead hermit who has the potential to become hangry on low-carb days. The closer I got to my show, the more brain-dead I became. I can’t tell you how many times I left my heels on the back of the truck after posing practice and drove all the way home. It’s a miracle they even made it to the stage, which brings me to my second “bad” – it is a financial investment. Depending on what organization you choose to compete in, usually there is fee that covers the year, like your NPC card, as well as an entrance fee per show and per class. The day of your show is going to cost you a pretty penny as well. Between the competition spray tan, hair, makeup, jewelry, suit and shoes, you’re looking at easily over a grand. There are ways around this, though. Suits, jewelry and shoes are going to be one of your biggest expenses that can be eliminated or cut back if you’re willing to rent a suit or have someone you know that’s done this before and is willing to lend you a suit, jewelry and shoes that fit you. Do your research! There is money to be made by people, come show day, but there is also money to be saved if you do your research. This brings me to my final “bad,” the coaching dilemma. Should you get a coach or be on a team? With the saturation of social media, there is an overabundance of coaches. Some coaches are very well established; they have been in this sport for countless years and even decades. They know the sport and can help you achieve great success. But on the flip side, there are plenty that don’t know that much. They do more or less the cookie-cutter diets. You’re going to pay someone for something that may or may not work for your body. You have to do your research on this one or you can easily get scammed. My first show I didn’t have a coach, I couldn’t afford one with everything else on my plate. I met friends through this process who helped get me on the right track. When show day came, I was so nervous. Backstage with other competitors who had their coaches with them, I realized I was actually clueless and severely underprepared. The flip side of that was I knew my body. When you don’t have a coach, you are forced to learn the hard way. You have to be so in tune to how your body responds to what you’re doing in order to get it to where you want it to go. But I didn’t have the wealth of knowledge that a coach offers. There are so many ways to prep for a show. Your diet alone takes an act of Congress to fine-tune. Between carb loading, water loading, salt loading, carb depleting, water depleting, the list is endless of different ways to manipulate your body to get to that show day readiness. It pays to have someone who knows the ins and outs of this. Just make sure they are reputable. Now let’s get to the “ugly” of this sport. While there is so much glitz and glamour, abs and inspiration, there is a dark side. Congratulations, you’ve made it to show day! You’re backstage and in the craziest shape of your life! You look around at the other competitors in your class, and you think you may have a shot at placing. You’re on stage now, and your posing couldn’t be more fluid. Your stage presence is flawless. Feedback from your peers is that you’ve got this in the bag. You go back up for finals, heart racing, barely able to breathe. All you can think about is that pizza waiting for you the second you step off stage, but you don’t want to blow it just yet. You hold your pose, smiling bigger than you have in your life. They start calling out the rankings, starting at the bottom, your name isn’t called yet. They make it to fifth, still not called. Here we go into the top three . . . top two . . . and the winner is. . . . Your name was never called. You didn’t place this show. So often in this sport the judging can be very political. While this is shifting, it still is an “ugly” of this sport. You have to stand on stage knowing that you did your best, knowing that regardless of how the judges rule, you brought your best package. Placing should be icing on the cake. Train, prep and plan to win, but you have to be confident in what you brought or you’ll get easily discouraged. This is a very critical sport, so you have to have tough skin. You have to be able to be confident in your ability while allowing criticism to help better you for your next show. The amount of opinions, theories, criticisms and know-it-alls is ridiculous, so be confident enough in who you are as a competitor and what your goals are to be able to weed through it all. Another “ugly” of this sport is the post-show blues. This is a difficult one. You have dedicated so much time to getting your body in the best shape, but that 9% body fat is not maintainable over a long period of time. As I have talked with other competitors, we have had some good laughs over our post-show cheats. While these may seem harmless, they can send you into an epic binge cycle. I’m not proud to say, but in the week following my show, I put on 20+ pounds. I still had a six-pack, but my stomach stuck out like I was six months pregnant. It looked like I swallowed a turtle. I was miserable! Sharing these stories with other competitors showed me I was not alone. I wasn’t the only one who couldn’t stop eating. I couldn’t figure out why back then, but now I have a better understanding of it. I had been so strict on my diet going into my show, making sure I was following it to a tee. I said no to many of my favorite foods. I never allowed a cheat during my prep. I had a few “oops” moments, but nothing a few extra minutes of HIIT cardio couldn’t fix. I kept telling myself “after my show, I can eat that.” I would fantasize about food, and I know I’m not the only one who does this. It’s a common thread among prepping competitors. What happened after my show was, I was finally allowed to eat those foods again, but instead of eating one or two bowls of cereal, I’d eat the whole box. Looking back, I figured out there was a lapse between what I tasted and what my mind imagined it would taste like. Food became a drug and I couldn’t say no. I was chasing a “taste bud high” that didn’t exist. So I went from being chiseled to a beached whale in no time. It was a difficult journey to say the least, but it taught me a few things. You have to have a plan of attack, even post-show. You have to allow yourself (reasonable) cheats during your prep. And you have to be okay with failure. Whether you decide to have a coach or not, you have to learn your body. You have to be okay with the ups and downs of the process, and you have to have tough skin enough to shut out the uninvited opinions of others. As I draw this to a close, I hope you aren’t discouraged from trying. The reality is this sport is extremely rewarding if you allow it to be. You are in the driver’s seat. You get to decide the outcome. Whether you’re the type of person that jumps in with two feet, head first, guns blazing, or you’re the type that’s a bit more timid, it’s a process. You have to trust the process, attack the process and share the process. We all could use a few good laughs about this crazy sport we call a lifestyle. It really is like a family. With every family there are ups and downs, a crazy uncle we love to hear stories about, and we all have our own levels of dysfunction in them. No family is perfect, but when united it is beautiful. So take the good with the bad, and put a dark spray tan, some really sparkly jewelry and false eyelashes on the ugly, and come join our family.